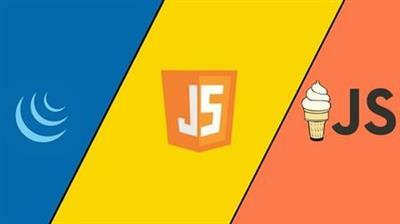 This course will give you a solid understanding of jаvascript, jQuery, and Vanilla jаvascript. You will learn about jаvascript comparators, strings, variables, loops and more! In this 3 courses in 1, you'll journey through the jаvascript programming language, jQuery and Vanilla jаvascript. This course is for beginners where you'll learn the fundamentals of jаvascript, jQuery and Vanilla jаvascript. In this course, you'll learn all the essential programming concepts and syntax of the jаvascript programming language. We'll start at the very beginning and cover everything about the language that a beginner needs to know. We then move into the second part of the course where you'll learn all about jQuery. Once you have a firm understanding of jаvascript, we'll then move into Vanilla jаvascript. Vanilla JS means jаvascript without any additional frameworks or libraries. Vanilla JS is a fast, lightweight, cross-platform framework for building incredible, powerful jаvascript applications. By learning Vanilla JS it will help you understand the core jаvascript concepts. Knowing vanilla jаvascript will make you actually understand JS frameworks better, and help you choose the right one when you need it. Using Vanllla jаvascript can improve site speed without impacting user experience. But many developers have never learned the equivalent code in jаvascript. By the end of it you will have a firm understanding of the concepts of jаvascript, Jquery and Vanilla jаvascript. Anyone wanting to learn jаvascript and jQuery.